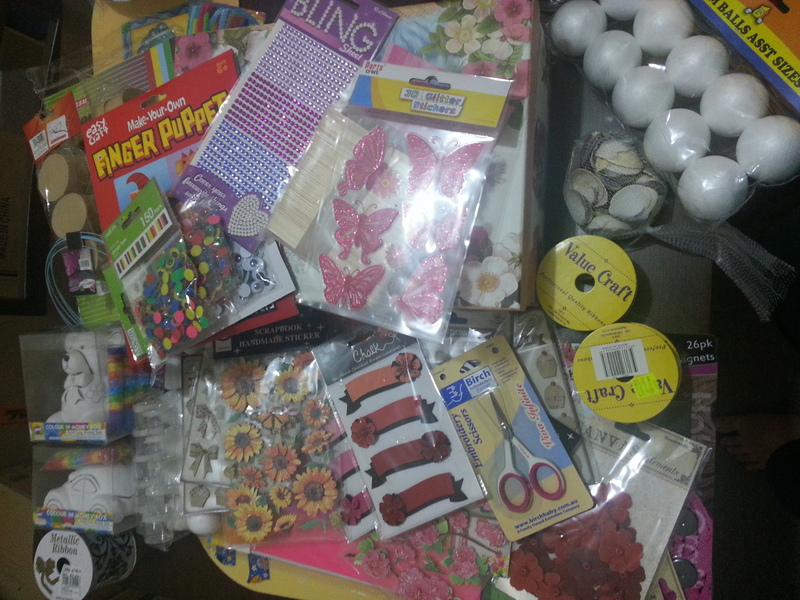 So, I got out my quilling supplies for a few reasons. 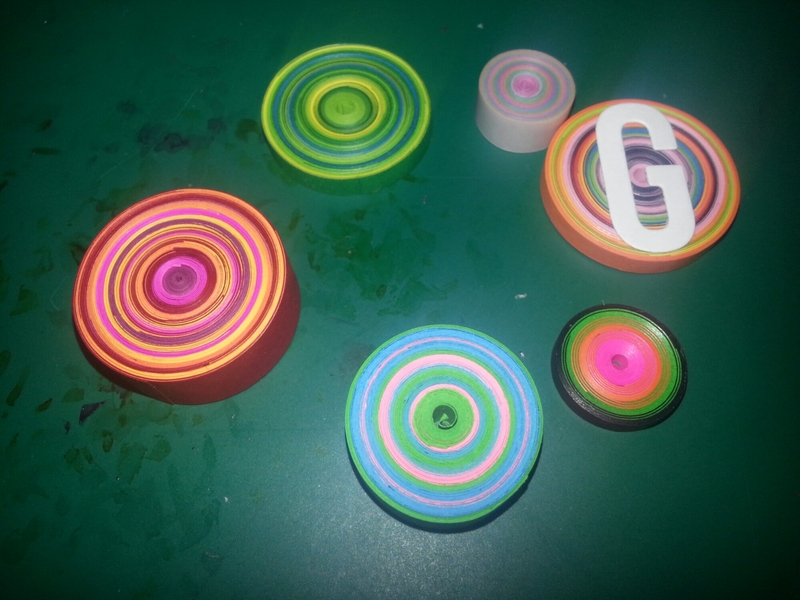 One- I like making these coin things and they will totally be legal tender of my dream world that I own. Two- I’ve seen some pretty inspiring quilled cards lately and I might get around to making if I stop making coins. Three- I finally found a silicone chocolate mould with perfect domes to use with the resin, in which, these coins would look lovely, whether it’s by themselves, with die cut letters, painted on or layered together. 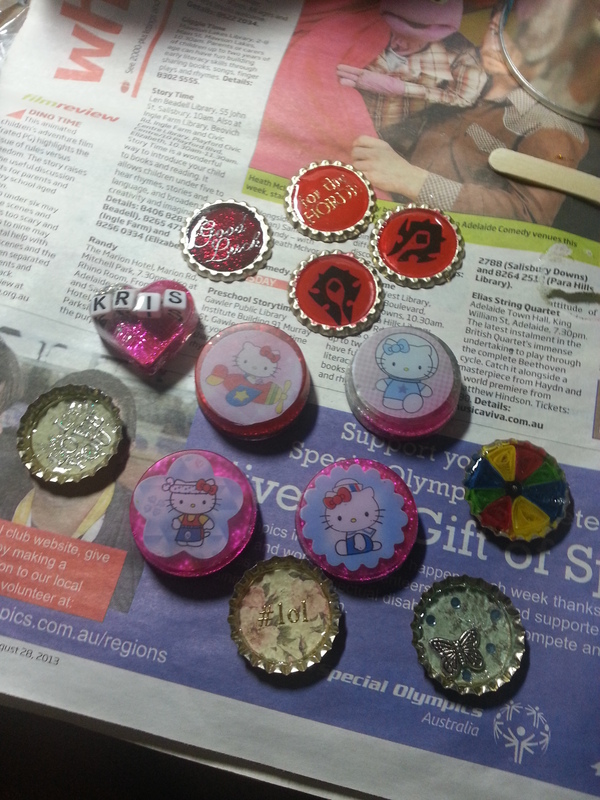 I originally wanted the domes to glue to pictures to make fridge magnet/paper weight things. These domes are about 1 ¼ inch wide at the edge, so too small for a paper weight, but being a dome, they can be smaller, the shallower it’s filled. It’ll be an opportunity to use up the last of the horrible resin that I have on trialling, then I’ll have to buy some good resin online. 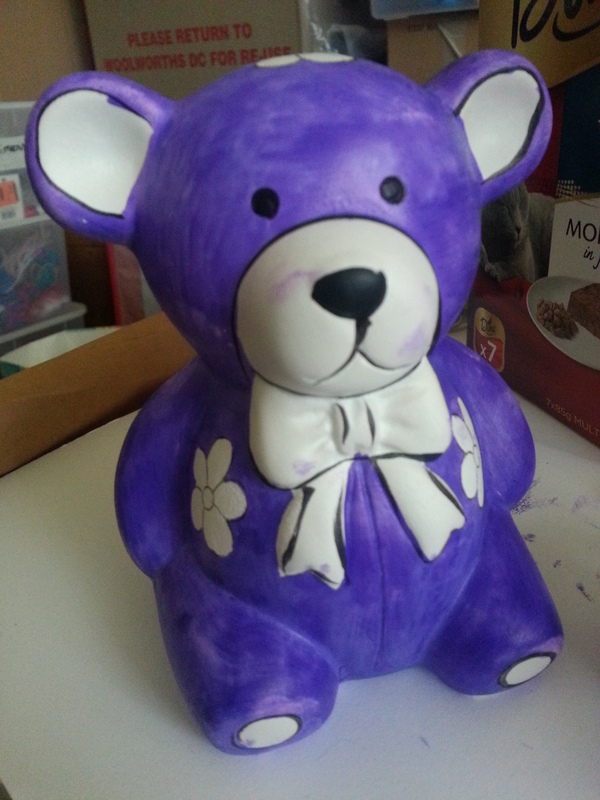 I have such a long list of things I want to try in art and craft alone. I have hundreds of notes on my phone and so many notebooks filled. If I never had another idea, I’d be set for life. So I have to screen my ideas, which is sometimes easy because they can be silly. Sometimes I get overwhelmed and try to do so many things at once that I burn out. It’s all so exciting that I can’t decide on what to work on and end up getting nothing done. I really need a way to organise my ideas, so that they don’t all need to be done right now, but I won’t have the fear of losing the energy or ideas if I leave it. Of course one good thing of leaving it is refinement and thinking of variations that wouldn’t be thought of when jumping right into a project. But that often leads to obsession and I make the project up so much in my head that I either get sick of it or it gets too scary that I’ll mess it up. My head is too full for its own good sometimes. With my last batch, I had to coat them with nail polish, to shine them up and get rid of some stickyness. It didn’t feel too sticky, but the pieces stuck together, so I think the nail polish will solve that. I cast a couple of clear pieces, so I can try painting them. Finally got around to washing the clothes from the op shop, so I’ll try them on, and see what needs doing soonish. Preparing more bottle caps for resin trials. My partner requested a Horde symbol, which I painted directly onto the metal. I hope it works out, since it looks quite nice. 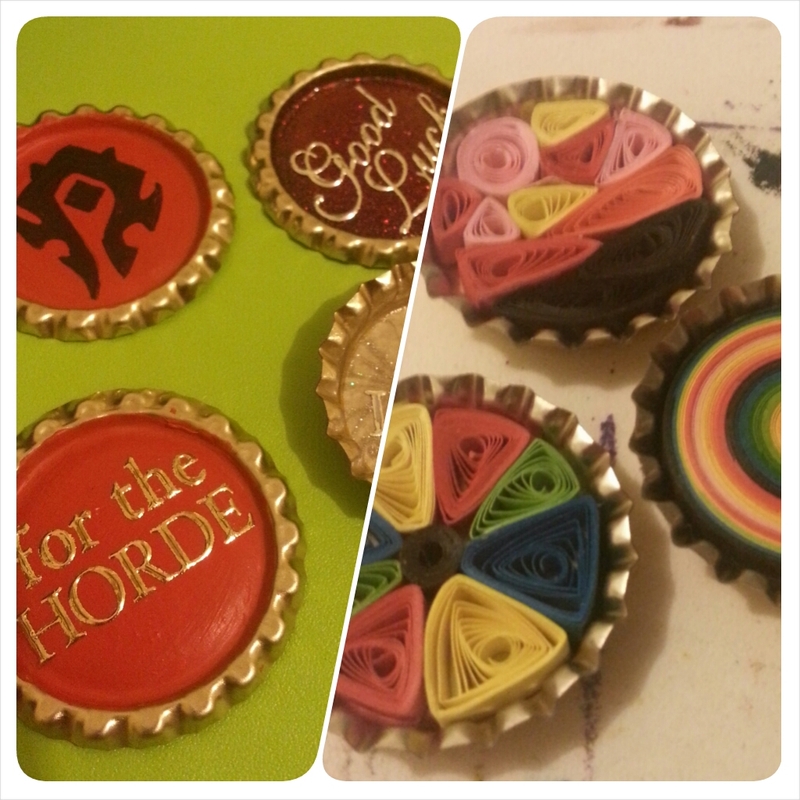 Later on, I decided to do some quilling for the bottlecaps. I want to see how these come out without sealing the paper for the resin. I tried sealing some after quilling and it was too hard to get it all, and I’m not sure how the paper will bend after sealing. Because the paper is one colour, (not just printed with a white core) I think it won’t be too much of a problem unless the colours run. That’s why it’s called experimenting, I suppose. My hands need a long awaited rest. Popping out day! They cured, which is good. They look quite pretty. 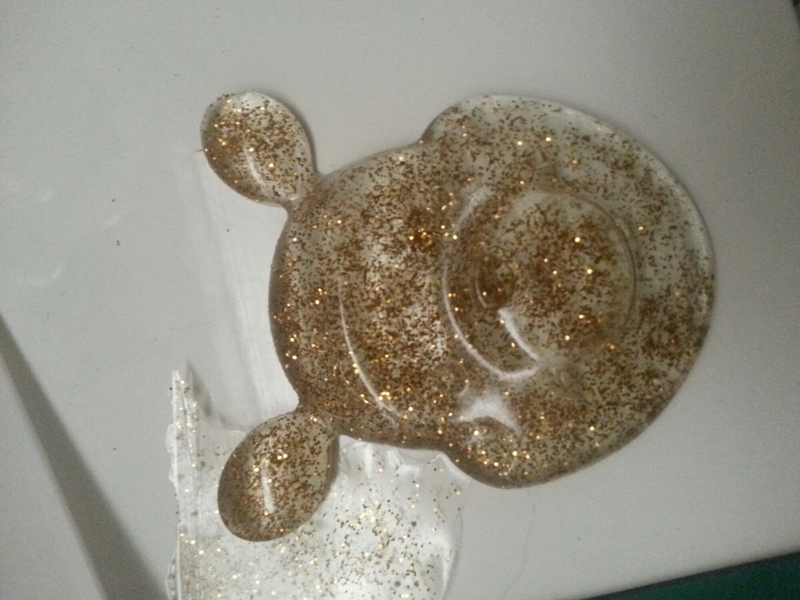 This is Winnie the Pooh with gold glitter. It worked well apart from his eyebrows had air pockets, so once I get some wet/dry sandpaper, I’ll sand them off and paint his features in black. I also cast a whole bunch of letters in an alphabet mould, but I had the same problem with the air pockets, so will try and fix that. I left some in so that I can try a second layer to fix a layer of glitter, but it’s hard waiting to find out the results. I’m glad the resin turned clear, as it was quite yellow when I mixed it. Unfortunately, I had to keep my door shut as they were drying and my craft room smells of industrial machinery, so I need to air it out. Sorry I’ve missed a couple of days, my oven had a grudge and gave me a blister. It’s lucky the nachos were good. 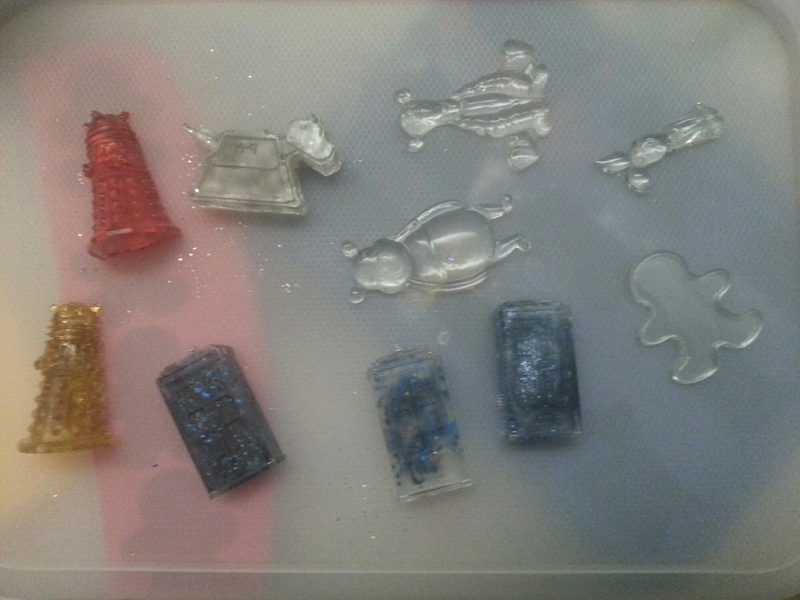 On another note, I got to do resin finally, yay! 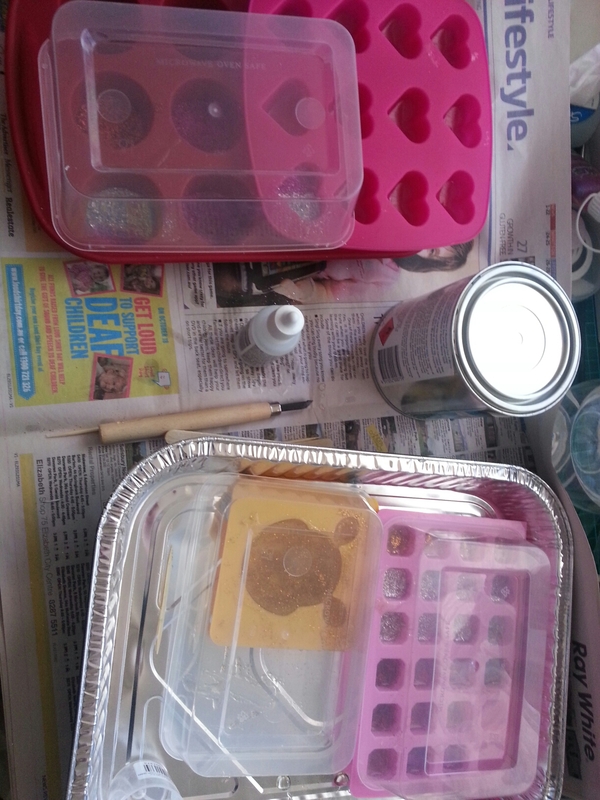 The only resin I could get was in a tin, which is horrible for pouring (diggers embedding and jewellery resin). The catalyst needed to be added in drops which I didn’t count properly so I put a bit extra in. It was hard to calculate, as it was 1.7 mls for a cold day and 2 mls for a hot day and 45 drops equaled 1ml. I think. Last time I checked it was getting hard, so I think its ok. Next time I’ll get the easy cast one online I think. Can’t tell how they’ll turn out yet. I’ll find out tomorrow. I didn’t do anything too ambitious, even though I’ve watched so many videos. Nothing I watched used the same resin that I have, so I wasn’t sure if it would work the same. It says 12 hours drying time, so I know it must act differently. I added glitter and a few stickers, all one layer so far. I’m not sure how well I’ll go at doming the pieces, as it was rather runny and I overflowed one of the pieces. It didn’t seem to have many bubbles, but I guess I’ll find out tomorrow. 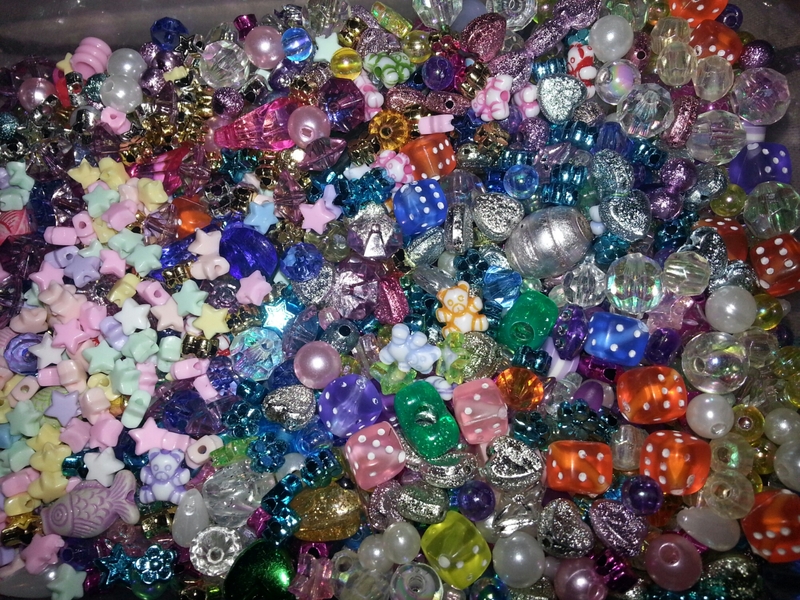 While cleaning and sorting beads, I began a “nice bright or pastel beads that might look nice in resin” box. It filled rather quickly, but is fun to run your fingers through and is pretty. I’ve noticed that videos on resin are either made by young women, or industrial men. Quite a difference in the two approaches and uses, but essentially the same craft. I found it quite interesting. I think I’ll have fun making cute, glittery pendants, but also want to make more elegant looking jewellery with perhaps dried flowers or images. Even some masculine themed keychains and items. The possibilities are as large as creativity with this medium, so I’ll have plenty to experiment with… After I clean up. 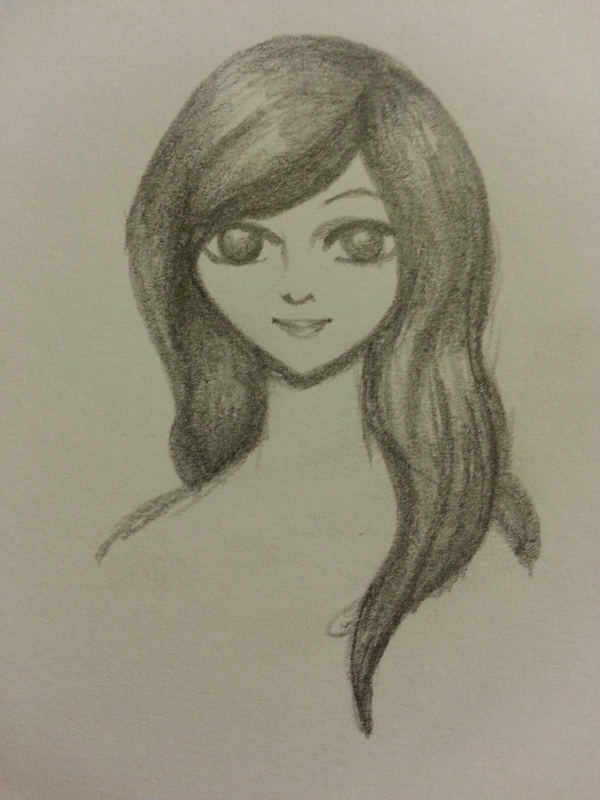 Quick little sketch. 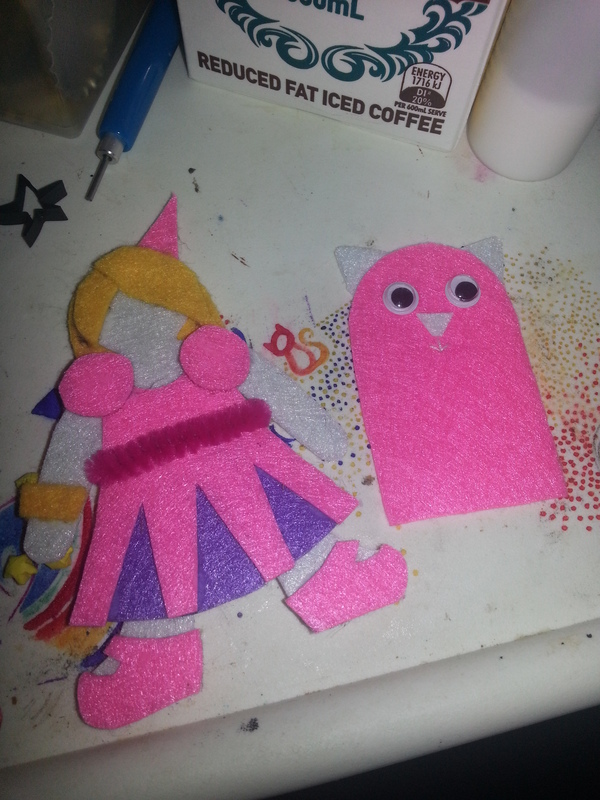 Thinking of things to put into resin. I wanted a few things more personalised than stickers, so I’ll see how it turns out. I’ll seal the images and hope for the best. 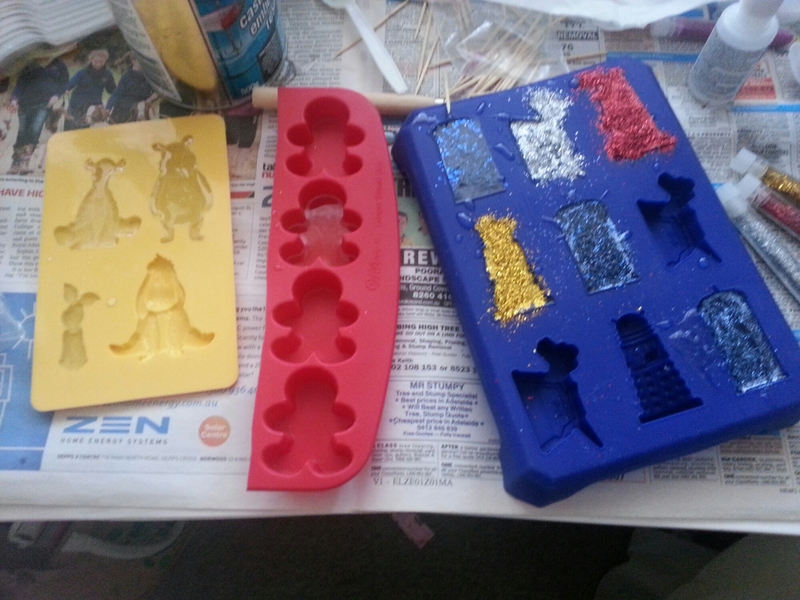 I bought a few more silicone moulds today so should be all set. I have basic shapes – round, square, hearts, stars, roses, shells and an alphabet as well as a mat for doming on. I don’t think I could be more prepared for a craft. I might be able to do some actual casting next week, if the weather is nice.